This means my 2TB snapshot restore job that used to take an hour is now ready in about 5 minutes – and most of that time is spent provisioning a new RDS instance. 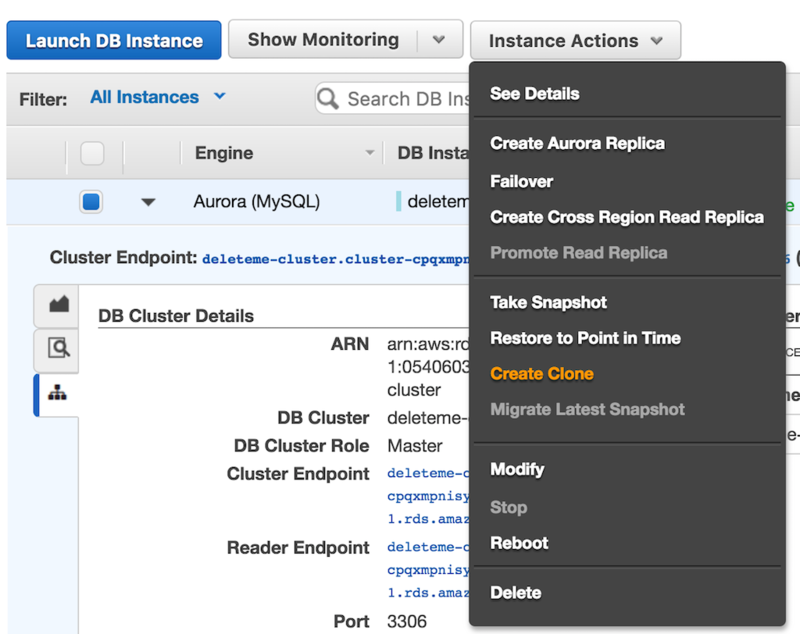 By taking advantage of Aurora’s underlying distributed storage engine you’re able to quickly and cheaply create a copy-on-write clone of your database. This entry was posted in AWS, Cloud, Computer, Database, Murmuring, MySQL, Network, Service, Software and tagged amazon, aurora, aws, clone, database, db, fast, mysql, rdbms, rds, snapshot on September 1, 2017 by Gea-Suan Lin.